I have been overdue in making this announcement, but I was given my first ever blogging award last month. 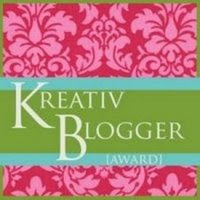 It is the Kreativ Blogger Award and it was given to me by Nicole Krueger of Books and Bards. Nicole has a recent post showing a list of some "lesser-known editing and proof-reading marks"which I found amusing. She also won a "flash fiction" contest that my friend and fellow Redwood Writers club member Ann Wilkes posted on her blog. Nicole discovered my blog through a post I made regarding my thoughts on the Twilight series. The rules of this award are that the recipient is to list seven things that they love and choose seven other bloggers to honor. 1. Chocolate. I prefer really good chocolate. Dark chocolate, milk chocolate, chocolate covered almonds, chocolate covered strawberries, raspberries with chocolate. Mmmmm. 2. Wine. Especially wine that pairs well with chocolate. I also love big, bold red wines that taste of fruit and not filled with tannins. Zinfandel is my favorite varietal and Fred Scherrer is my favorite winemaker. 3. Sunshine and warm weather. I grew up in Michigan which was cold and overcast most of the year, so I appreciate living in the wine country of Northern California and not having to worry about shoveling snow or wondering about wind chill factors. 4. The ocean. I live about a 45 minute drive from the gorgeous Sonoma Coast. I enjoy watching the waves crash on the shore and am reminded of the transitory nature of human existence. Mother Nature is far more powerful than Man's shelters. 5. Traveling. I love seeing new sites as well as taking friends to see some of my favorite places. 6. History. Pair that with my love of traveling and you have a research based trip to historical sites. 7. Entertaining. I love sharing good food and wine with my friends. Especially if it is food that my husband has created. He has earned quite the reputation for his cooking skills. Now onto sharing the blog award with others. I will admit that I follow a lot of blogs. When I take the time to read blogs, I will come across links to other blogs that look intriguing and then subscribe to them. Subsequently I have approximately over 100 blogs in my Google reader. They are an eclectic mix of agent and author blogs, writing and marketing blogs, medievalist blogs, and well - miscellaneous blogs - to boot. I am regularly overwhelmed by the number of unread blog posts waiting for me to read and so I wind up scanning the titles of the blog posts before reading or ruthlessly clicking "mark all as read" in my attempt to streamline the process. I dislike unsubscribing thinking that I will miss out on something really cool. The bloggers that I have chosen to give this award to are bloggers whose work I admire. 1. One of the first Medievalist blogs I came across was Richard Scott Nokes' Unlocked Wordhoard. He is a professor of Medieval Literature at Troy University in Troy Alabama and his blog serves as a clearinghouse for medievalist blogs with his regular feature Morning Medieval Miscellany which provides links to posts he thinks are worthy of attention. 2. Jeff Sypeck's Quid Plura? blog. Jeff wrote the book Becoming Charlemagne: Europe, Baghdad and the Empires of A.D. 800 which I found helpful in my research about the historical Charlemagne for my novel. Jeff's blog also includes helpful links, but his original posts about the nexus of Medievalism and pop culture are quirky and entertaining. 3. Erika Mailman. 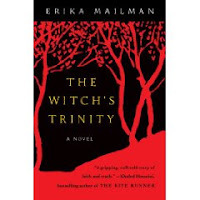 Erika wrote a wonderful novel The Witch's Trinity set in 16th century Germany focusing on one community's shared hysteria surrounding witch trials. Many of her blog posts deal with the historical aspects of superstition regarding witchcraft (including fabulous woodcuts), but many posts also concern current day persecution of people accused of being witches. It is not just a horrible nightmare of our past. 4. C.W. Gortner is another historical novelist blogger. Christopher had a recent post "Don't Defame the Dead" where he passionately defended the medium of historical novels against criticism by some historians. I found that post to be thought provoking for me since I had taken some historical methods classes when I was in graduate school. I understand both perspectives, and recognize my own struggles with trying to adhere as closely to historical reality as possible while also having an eye to the needs of storytelling without boring the reader. His book The Last Queen is about Juana of Castile, the last queen of Spanish blood. Some late breaking good news for Christopher. His next novel The Confessions of Catherine de Medici is scheduled to be released on May 25, 2010. 5. Lee Lofland's The Graveyard Shift blog covers a wide range of topics related to law enforcement and regularly has guest posts from experts. His blog should be required reading for anyone writing mysteries, using any law enforcement characters or is interested in a career in law enforcement. 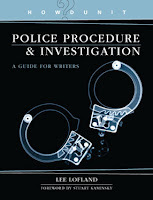 Lee is a retired police officer/homicide detective, author of the Writer's Digest book Police Procedure and Investigation: A Guide for Writers and is an all around good guy. 6. Tess Gerritsen is the New York Times bestselling author of the Jane Rizzoli/Maura Isles series. She writes spine tingling and multi-layered thrillers which resonate with her attentiveness to detail and a knack for taut storytelling. Tess is a warm individual and a generous author willing to "pay it forward" for other writers. Her blog is one aspect of her generosity because she provides insight about what it is like to be a full time author. I do my best to follow the trades by reading Publisher's Lunch and PW Daily as well as agent blogs, but they cannot provide the same perspective that Tess does on her blog. In particular, she alerted me to the downside of what might be a trend by publishers to cut costs in regard to phasing out printed galleys. I was astonished to read the tone used in an email from a publisher to her when they were hoping she would provide a blurb for a forthcoming book for one of their authors. They seemed ignorant of concepts put forth by Dale Carnegie years ago in trying to win friends and influence people. I hope that most publishers who are seeking blurbs from famous authors would adopt a "pro-choice" attitude and offer options as to how galleys would be submitted to them: paper or PDF. Eliminating printed versions might lower the publisher's printing and postage costs, but it might also prevent their forthcoming books from getting some coveted blurbs which could help boost sales. It would be well worth the tine and effort for aspiring writers to poke around through Tess' archives to discover other gems about the publishing industry. By the way, her latest book The Keepsake is due out in paperback August 25th! 7. And lastly is my friend John Granger's The Hogwarts Professor blog. John takes literary criticism to heart. His analyses of the Harry Potter series is among the best I have read. He looks deeply into the text and recognizes symbols of literary alchemy that I had never known before. I have garnered a new appreciation for the series due to his scholarship. He has several books exploring many different aspects of the Harry Potter series. One of his most influential books was Looking for God in Harry Potter which rebuts the criticism in some circles that J.K. Rowling's books are promoting witchcraft and are therefore worthy of being banned or burned. 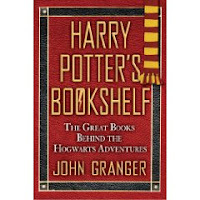 John's most recent book is Harry Potter's Bookshelf: The Great Books behind the Hogwarts Adventures. John has now turned his attention to another series to analyze. It is the Twilight series and his blogging on that subject can be found at the Forks High School Professor blog. Hopefully these links will help my readers discover and enjoy a few of my favorite blogs. Thank you, Linda! I'm not sure if I have seven blogs that I follow -- especially if I cannot include yours -- but I'll give it a try. Feh ... I just realized you already awarded some of my awardees. Now it's going to take a bit for me to figure out which seven to pick. Thanks for the gentle correction. It is hard to keep up with all of your titles since you are so prolific. Hopefully those interested in becoming a serious reader of the Harry Potter series will read at least one of your books. Your blog was the only Potterverse blog that I included, so hopefully some of the others blogs you have as links on your homepage will be a good starting point. I had been toying with giving awards to a few other Medievalist blogs that I discovered thanks to you, but I refrained myself. Now I'm glad about that, if for no other reason than it will allow you have a better field of potential recipients to choose from. Looking at your online blogroll, I'm sure you can decide on a few favorites - those you click on first when you see there is an update are probably the most worthy candidates. Only you will know which blogs those are. It is not the quantity that matters, it is the quality. I find your posts with historic the wood cuts and the quotes from Malleus Maleficarum to be fascinating in the "OMG how could anyone think that" way? Then when you include news stories of how these superstitious attitudes are still present today, it hits hard of how dangerous those beliefs were then *and* now. You have done a wonderful job and created a fabulous resource for writers. A gentle nagging...er, nudging was all I needed to get me started. By the way, your nudge helped create a worldwide monster. We're read by over 50,000 people in over 130 countries each day. The site is translated in several languages. What I started to help me save time now consumes much of my day, and energy. But, the blog has become pretty popular. So much so that publishers, authors, and agents have begun purchasing ad space. I'm pleased.